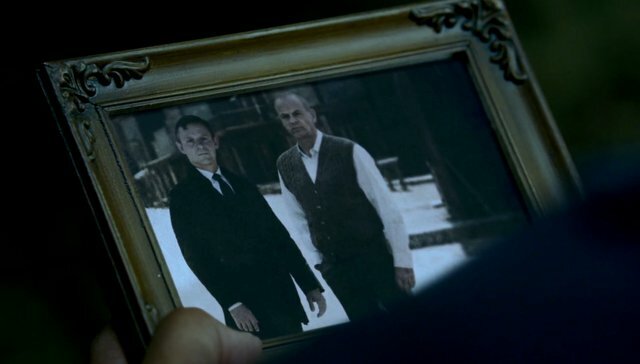 A theory I'm seeing appear is that Bernard is in this picture to the right and can't see himself. It's a stretch, but it does seem like a weird way to take a picture with all that empty space next to Ford's father. I'm also curious about Ford using the same 'blood sacrifice' line the board member did. Was she in on It with Ford or is that just evidence to suggest his hosts do indeed 'spy' for him? I noticed that too. Could easily be either of those things. Just had a brain wave in a meeting. Keep an eye out for the name "Weber". It's great that people really get into fan theory but personally I feel like it'd drive me crazy since you're essentially creating your own version of a show alongside the actual show at least as far as expectations go. Maybe it got really popular with LOST but I missed out on all the week to week talk for that. Just watched the first 2 episodes. I'm already addicted! It makes it more fun, IMO. Seeing some theories confirmed and other obliterated, it all makes for good conversation and use of the imagination. I never feel like my expectations get hurt because of it. We're just floating 'what ifs' and trying to make the week long wait times a little more bearable. I stopped reading theories when I realized that movies or shows no longer surprised me, because I had always seen at least someone predict the way it would go. I no longer felt like I was letting the storytellers take me on a ride, but rather got tired from always feeling like I was trying to out-smart them. That's just my take on it though. A lot of people really like it, so I'm not complaining about the concept as a whole. I get that. For me, it's the same with spoilers. I get that some people really want them, but to me it definitely takes something away from receiving the story as intended by the storytellers. I like discussing theories and whatnot, but not getting too deep into them that I spoil myself. I don't feel like that is any different than just discussing the show with your friends every week (since the theories get thicker or debunked every week). IMO the point of a show like Westworld is the discussion of 'what if's' and the possibilities that are abound in that world/scenario. For me, it doesn't harm my viewing experience exploring certain theories and what not. The more theoretical it gets....just tends to show how good the show is that there are potentially that many stories/scenario's out there. Yea totally agree. When I watch other shows, I don't really discuss theories because it's not that type of show. This is the type of show you want to discuss and hypothesize. Lost was very much the same way, I used to love coming to the internet to read new theories after episodes. And for me, I eventually get exposed to so many theories, I don't even remember them. I had discussions about either Ford or Bernard being a host several times early on, and while watching the latest episode and being caught up in the moment, those discussions were far from my mind. 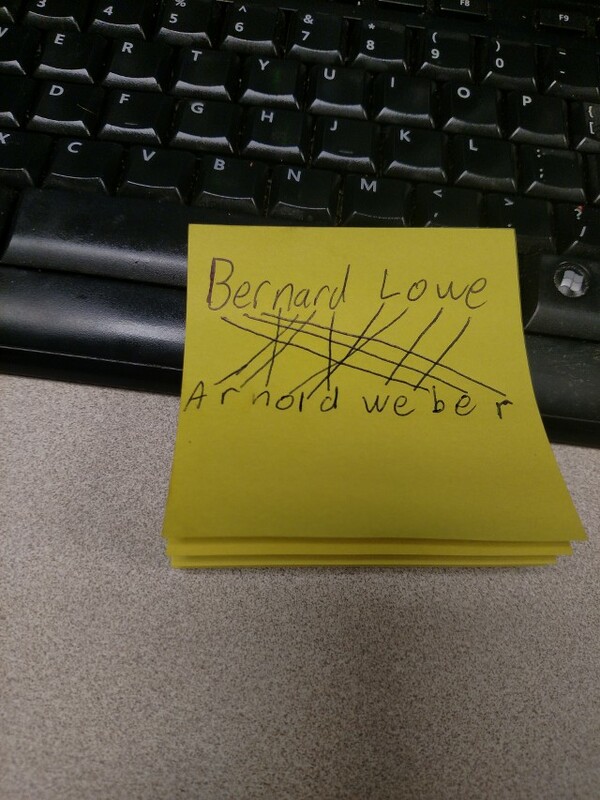 Despite that I had pondered on it previously, my head still exploded when Bernard said "what door?". I had discussions about either Ford or Bernard being a host several times early on, and while watching the latest episode and being caught up in the moment, those discussions were far from my mind. Despite that I had pondered on it previously, my head still exploded when Bernard said "what door?". Me to! that was great! Because, in the moment my mind was spinning as to why Bernard had brought her there...what was he going to show her. Sure we found out it was because Ford 'told' him to, but still....in the moment all the theories were out the window so when he said 'what door' it was just as shocking as if Bernard being a host were never suggested or talked about in any theory. I felt so bad for him when he said 'my poor son'....like he was crushed multiple times...first over the fact that he watched his son die, then when you know he realized he never had a son in the first place. I can't imagine that revelation as I'm sure he had all the 'feels' of having a son programmed into him....then suddenly he doesn't have a son. I know I'd be devastated just learning that. I didn't even fully twig at "what door? ", though I knew at that point that something was up. For me the penny dropped when he looked at his schematics. Goddamn this is a good show so far. Yeah those last 10-15 minutes of the last episode were amazing. As far as the theories go, I used to do take part in them a lot when Lost was out but never to a ridiculous degree. Nowadays I just step back and watch each episode without any real thought into everything. I know I'm going to enjoy the heck out of rewatching this season. I didn't fully realize the twist at "what door" either. Like ariich I knew something was up, but I think I put myself in denial at that point. Like "nah, it's just the show being cheeky". In the end, this twist actually hit me, emotionally. I felt really uneasy for pretty much rest of the day, which just tells you how good this show is so far. Yeah Hopkins was awesome in that scene. Jeffrey Wright was fantastic in that scene as well, between his initial shock and rejection and then becoming completely emotionless as he carries out Ford's orders. Absolutely chilling. Hopkins has been awesome this whole time. He steals every scene he's in. Yeah, that was very well done. Theresa genuinely looked, terrified, heartbroken, and defeated all at the same time. Kudos to that actress as well. The scene was all round brilliant, though she hasn't been a particular standout for me. My other favourite cast member so far is probably Thandie Newton. She steals every scene she's in, IMO. +1 on the acting props. The whole crew was amazing in that scene. it really was a chilling scene. This show. I mean, wow. I'm still digesting this episode, especially the last 15 minutes or so. Interesting comment from the MIB when he said he was a God, and not just 'in this world'. I take that to mean they are going to stick with the source material and that there are multiple themes/time periods that folks can choose to 'play' in. And, i don't think there's any question we are watching two time periods of a Young and old William. As much as I like the show I find it hard to believe that two low level techs would have the ability to assist a host to bypass all of the (what I presume to be) highly complicated coding involved to keep the hosts obedient to their programming like they have Maeve.....and that they/she could parade around the complex in the manner in which they do and not have been discovered yet. Which is why, until proven otherwise, just like in the coup situation with the board....I believe Ford knows about it and is just allowing it to happen, if not the one directly responsible for her behavior changing in the first place. And along those lines....I'm assuming (until proven otherwise) that Ford is on to Charlotte's latest attempt at stealing the host info. He knows she's the one behind it all so surely he's got an eye or two or three or a dozen on her? Interesting comment from the MIB when he said he was a God, and not just 'in this world'. I take that to mean they are going to stick with the source material and that there are multiple themes/time periods that folks can choose to 'play' in. Pretty sure the line was intended to refer to Westworld vs. the real world, since that was his entire point – wrathful god in WW to express his actual personality, good god in real life but then fallen from grace and looking to die for it in a meaningful way (in the maze). Took me way too much time to finally watch the last episode. Between recovering from the Steven Wilson concert on Saturday and a whole bunch of activities on Sunday, I'm simply floored again with this show. Just two more episodes left and that's when I'll read all the theories and watch the entire season again. This is a definite 'watch the entire season again' show. There's simply too much info. to digest the first pass. I've re-watched certain scenes a few times...but not entire episodes yet. Perfect example is this last episode. The last 20 minutes there is just a lot to absorb. Annd I just read the finale is going to be 90 minutes long. Sooo looking forward to the next two episodes. Maeve made a comment to the one guy that she was still smarter than him even at level 14. was she implying he was a bot (or maybe I misunderstand what she meant)? Also, we know someone else is involved with Maeve because those two workers brought up the point that someone with way more access had been tweaking Maeve.